CARNEMARK creates distinctive architectural environments that enhance your lifestyle, combining inspired design with outstanding products, techniques, and service. From whole-house remodels to kitchen, addition, bathroom, and condo renovations, CARNEMARK design + build creates modern, sustainable solutions that flow—meeting practical needs in contemporary life. Using a client-responsive and eco-sensitive process, our expert team turns abstract ideas into clean, sensible designs and careful craftsmanship. Since 1987, Washington, DC–area clients have enjoyed the award-winning combination of function and beauty we’ve helped bring home. Ask to schedule a complimentary consultation at your home. Homeowners in and around the Washington metro area have dozens of choices when it comes to creating the ideal living space. Why do so many choose CARNEMARK? Friends, families, neighbors—people hear a great renovation story and want a CARNEMARK remodel of their own. 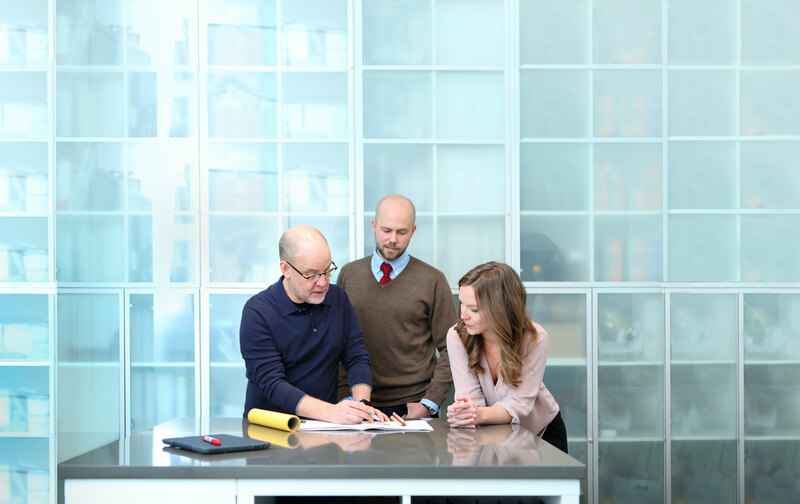 CARNEMARK's step-by-step process ensures you'll have an accessible, accountable professional leading every stage of your remodel. We hear a lot of comments like, "I knew that was a CARNEMARK kitchen" and "That had to be your work." Our design stands apart from the crowd—winning national and local awards year after year. Our designers, project managers, and office administrators—they're all tops at what they do, and they love doing it with CARNEMARK. At CARNEMARK, we have the pleasure to partner with a diverse group of skilled subcontractors and leading suppliers and manufacturers who help us turn creative inspirations into realities. We partner with only the most expert and reliable subcontractors. A careful vetting process—and our respect for their ability and integrity—ensures that these loyal partner relationships last. We maintain dealer status with leading manufacturers across the industry. These relationships enable us to deliver the most recent innovations—and favorable pricing—from such well-known brands as Sub-Zero, Wolf, Miele, Gaggeneau, Dornbracht, SieMatic, Greenfield, Artcraft, and Robern. We buy from a growing list of local, national, and international suppliers to offer our clients the widest possible selection of quality (and quirky) building materials.